The pros and Cons of filter Shapes: Round screw-in or Square? - Haba Naija! One of the most confusing aspects of choosing filters, is whether to go for round, or square filters! Below I will look into the pros, and the cons of both types! Round screw-in filters are fine for normal, everyday use on a single lens. The must be the exact same diameter as the lens, and screw on easily. 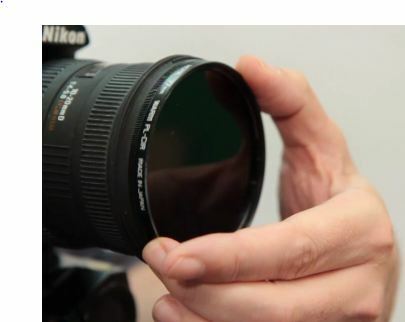 This is ideal for UV filters, which are usually used just to protect the lens, because once fitted, they don’t need to be removed. It is also great for (plain) Neutral Density filters, because there are no tone variations, so they do not need to be adjusted. Also, if you want to use filters on various lenses of different sizes, you will need to buy extra filters, so a sqare one that can be used for various sizes is very useful…! Despite what the name suggests, these are usually closer to rectangular than square! And they cannot fit directy to the lens, you need to fit a lens adapter, and a filter holder! They are much more hassle to fit, and take longer to change, but, you can move the filter up and down, and adjust as necessary!